The derivation of the word muffin comes from the French word moufflet which is often times applied to bread and means soft. The two main types of muffins are English muffins and American style muffins. They vary in style as well as flavor and history. English muffins are a level yeast raised muffin with nooks and crannies which are cooked on a hot griddle. English muffin history dates all the way back to the 10th and 11th centuries in Wales. Early English muffins were cooked in muffin rings that were hooplike and placed right on a stove or the bottom of a skillet. American style muffins on the other hand are more of a quick bread that’s made in individual molds. The molds are necessary due to the mixture being a batter rather than dough. These muffins were initially leavened with potash which produces carbon dioxide gas in the batter. When baking powder was developed around 1857 it put a stop to the use of potash as well as to the profitable potash exports to the old country. Muffin recipes first began to appear in print in the mid 18th century and quickly caught on. From the 19th century muffin men walked the streets of England at tea time to market there muffins. They wore trays of English muffins on there heads and rang there bells to call clients to there products. 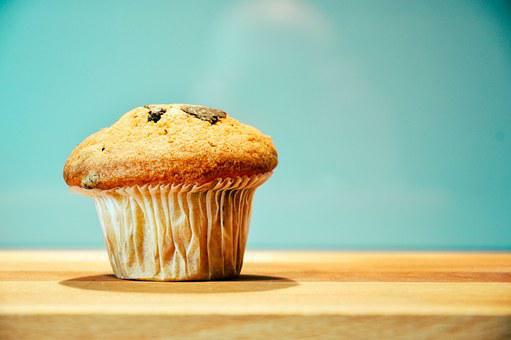 Three countries in the USA of America have adopted official muffins. Minnesota has adopted the blueberry muffin as the official state muffin. Massachusetts in 1986 adopted the Corn Muffin as the official state muffin. Then in 1987 New York took on the Apple Muffin as its official muffin of choice. Next time you bite into a hot muffin consider its sweet history.